Everything we make comes in its most natural form, so we are proud to offer the best artisan chocolate & cherries in the Northwest. We take our pure, additive free dried cherries and hand-make our chocolates using the highest quality milk and semi-sweet dark chocolate. 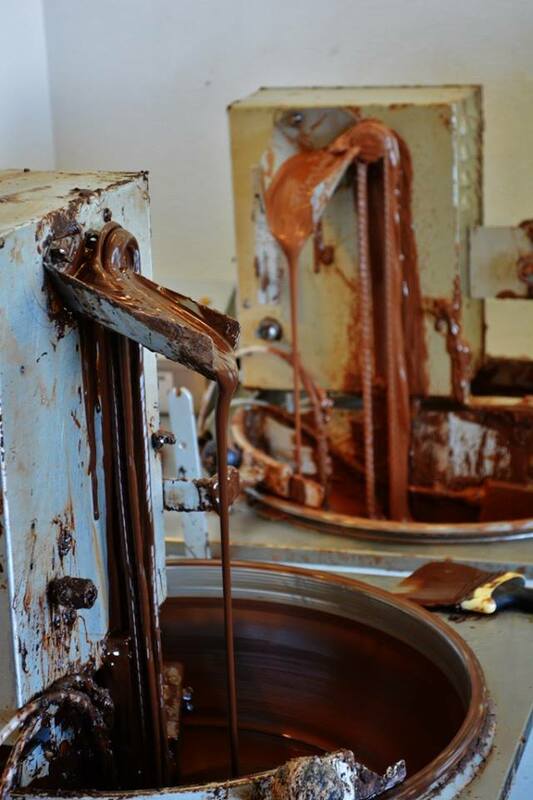 Our chocolates combine simple ingredients to create chocolates that are simply amazing. Our gourmet dark and milk chocolate-covered cherries are always chewy, never gooey! If you love the flavors of cherries and chocolate, but hate those gooey, drippy cherry cordials, we have what you’ve been looking for. Using only pure, additive free, dried Royal Ann cherries from our orchard, we then cover each one in either milk or dark chocolate. The only ingredients are cherries and chocolate, ensuring rich, vibrant flavors that aren’t cloyingly sweet, and make an exquisite companion to a glass of wine. It’s the best of Oregon! The lively gift boxes feature original artwork celebrating Oregon’s cherry history, and need no gift wrapping to make a splendid presentation. Our Oregon Chocolate Bark is inspired by the beautiful flavors of this great Northwest state. This Cherry & Hazelnut Chocolate Bark combines our dried bing, royal ann & tart cherries with Oregon grown hazelnuts and Oregon sea salt over a layer of mouthwatering milk or semi-sweet dark chocolate. Celebrate the flavors of Oregon with this chocolate bark! 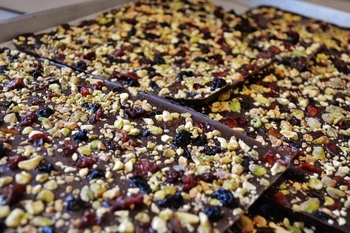 Our delicious Triple Cherry & Pistachio Chocolate Bark is an award winner! This product combines our three varieties of dried cherries (bing, tart and royal ann), with pistachios and a hint of sea salt over a layer mouthwatering semi-sweet dark or milk chocolate. Our delicious Cherry Cinnamon Almond Chocolate Bark takes our dark chocolate, kissed by a sweet sample of white chocolate, and adds our additive-free dried bing and royal ann cherries as well as crunchy cinnamon almonds.